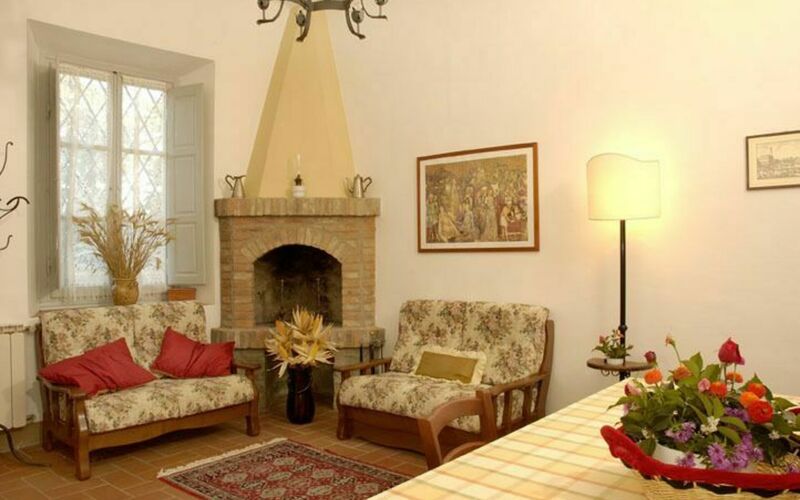 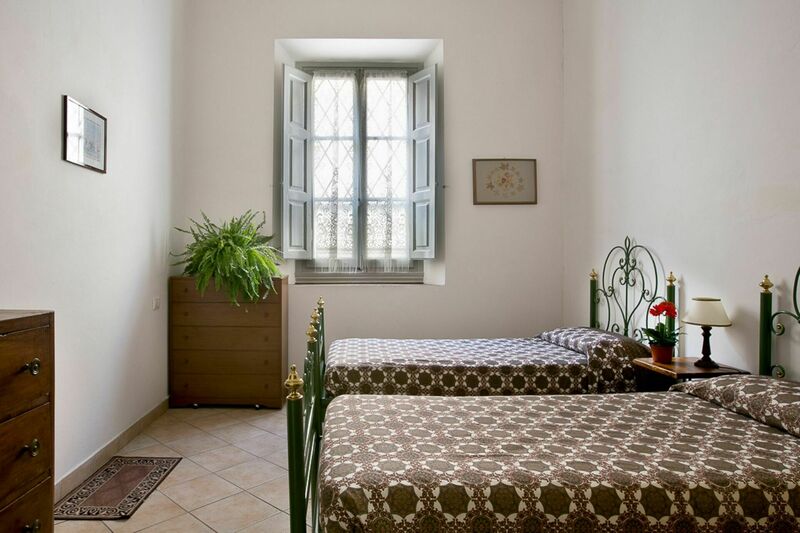 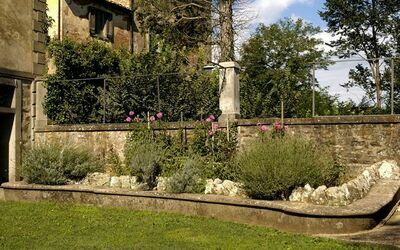 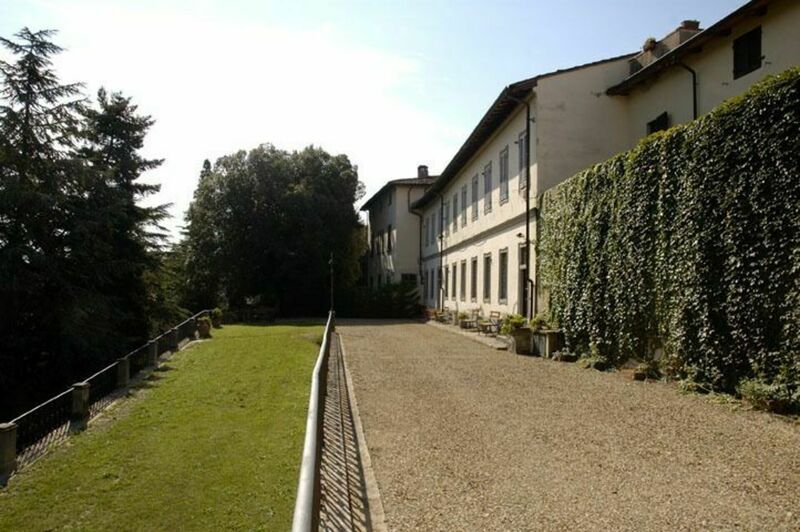 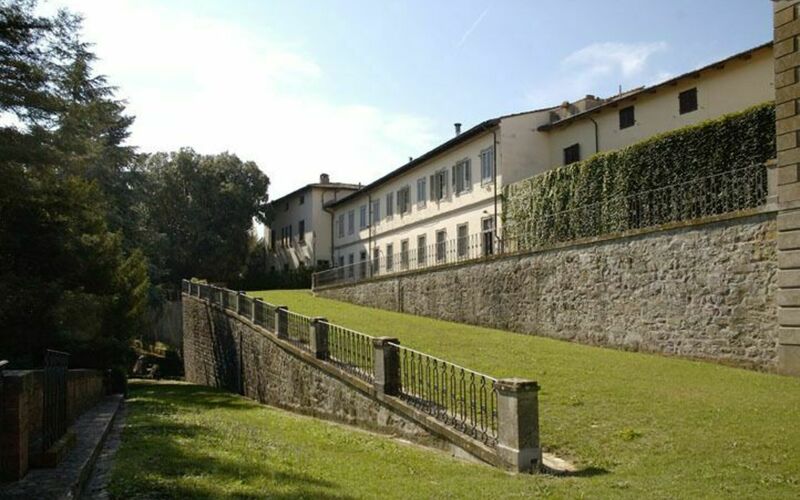 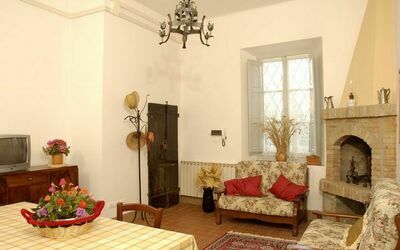 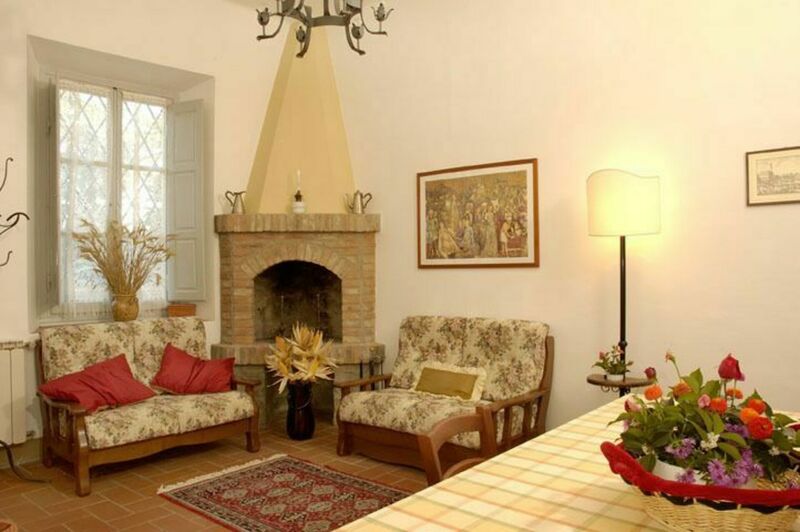 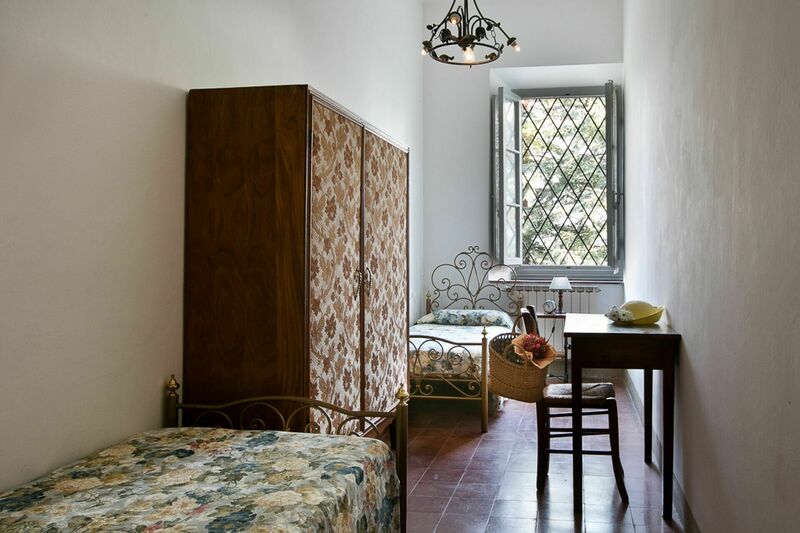 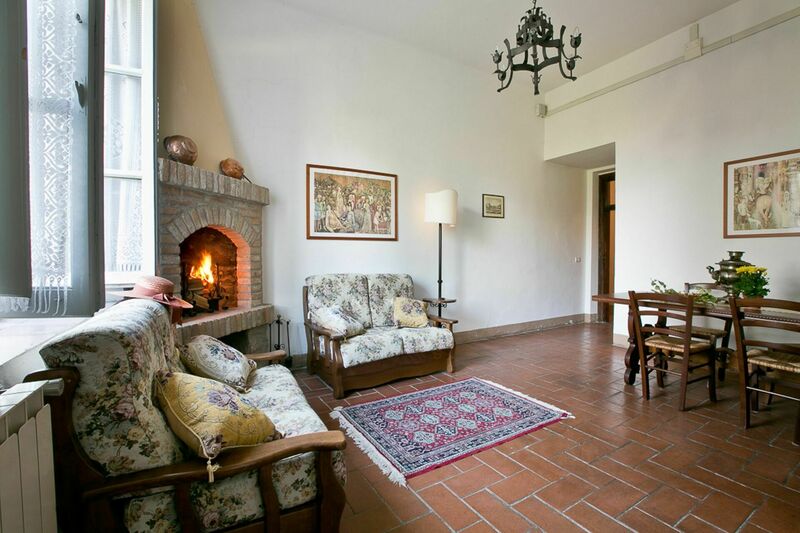 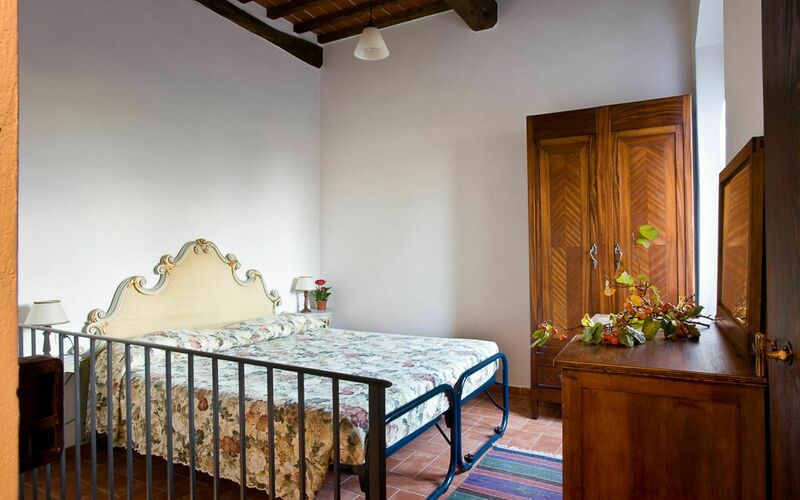 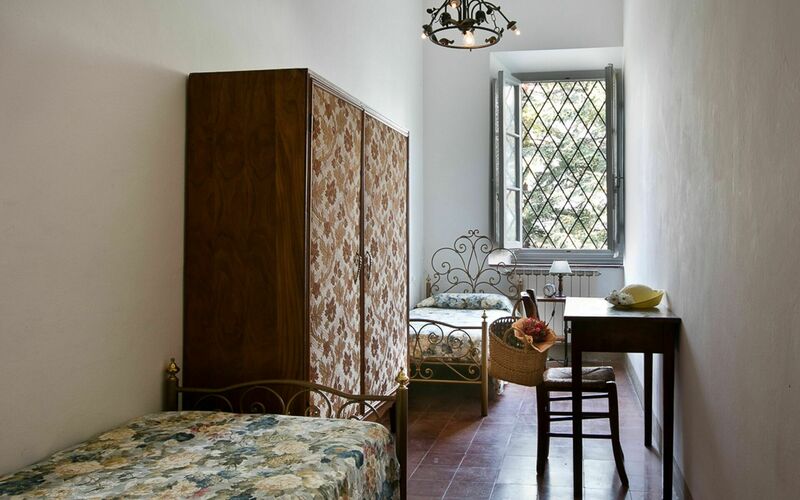 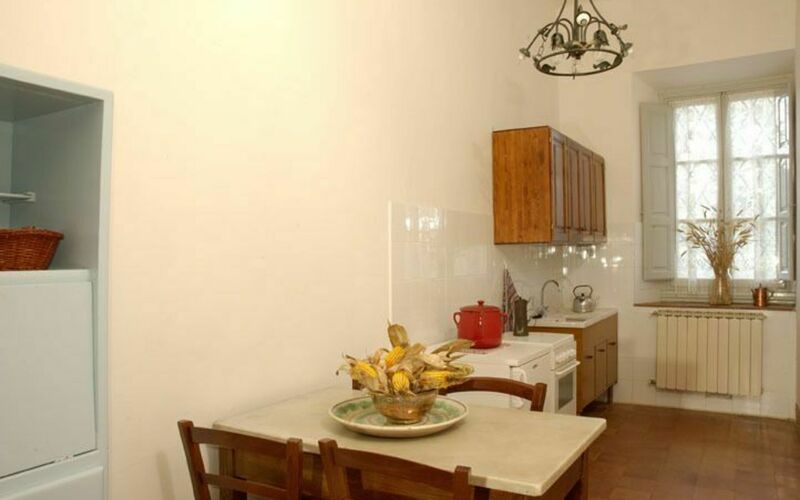 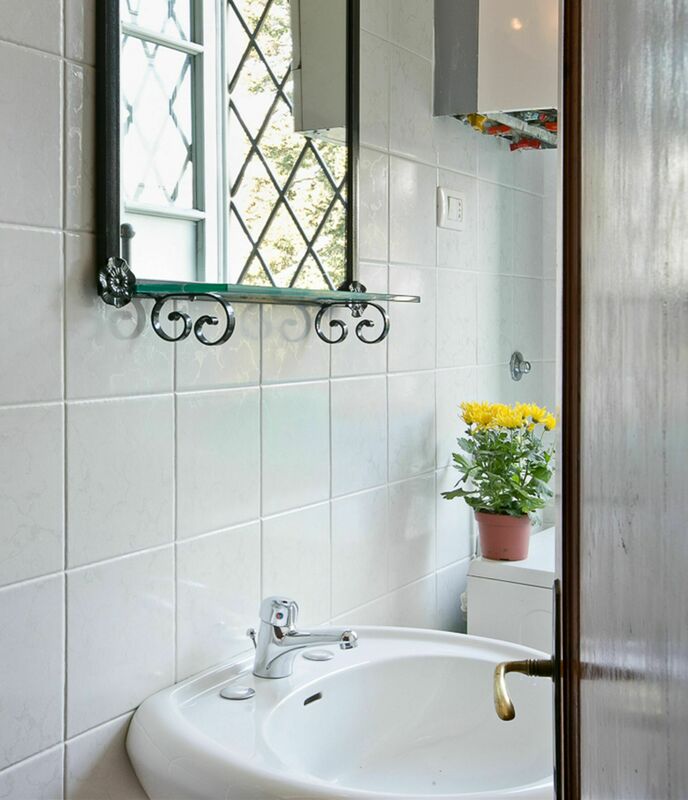 La Fattoria Di Cicogna is a lovely property with a total of nine private units that is conveniently located 10 km (6 mi) from Terranuova Bracciolini, Italy in the tourist area "Arno Valley" and only 32 km (20 mi) from Arezzo. 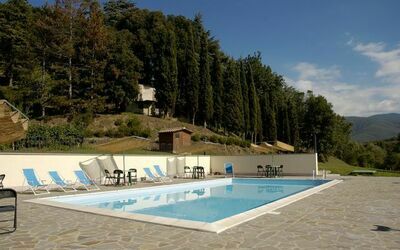 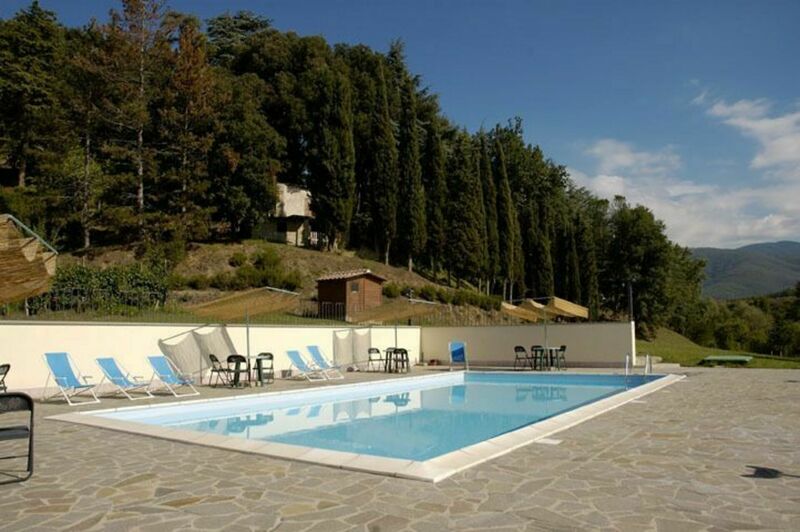 La Fattoria Di Cicogna, among other amenities, includes also internet and pool. 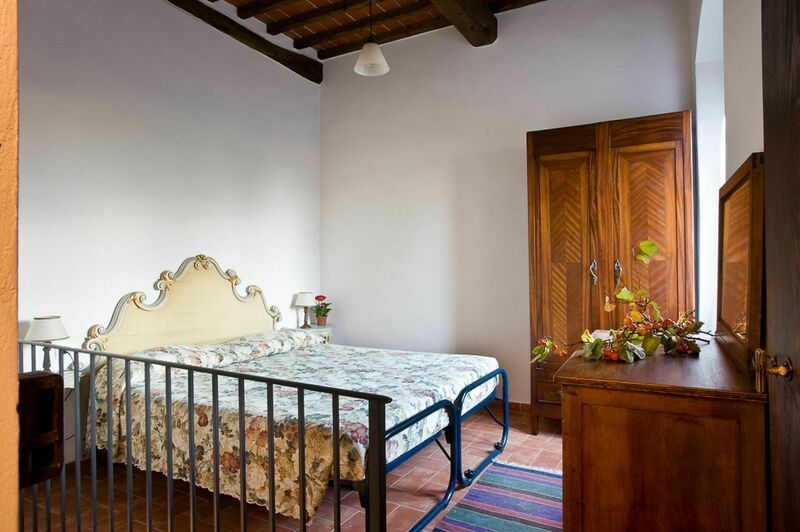 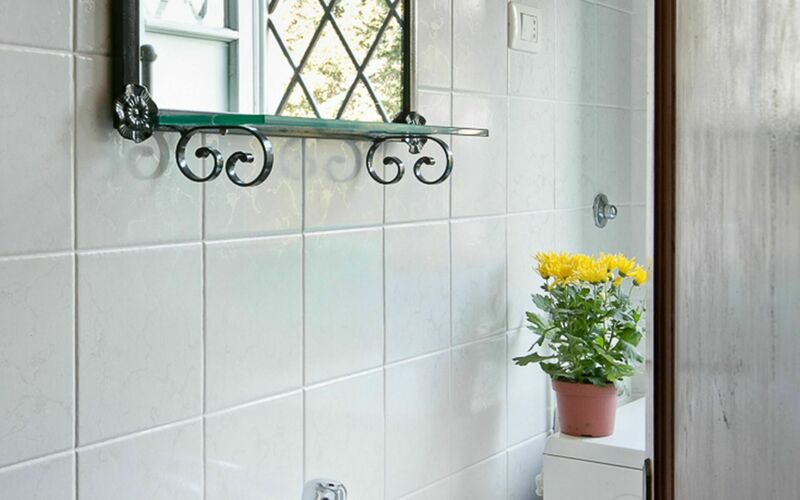 Villa 3 - Anny is a three-bedroom unit with two bathrooms and can sleep up to seven people. 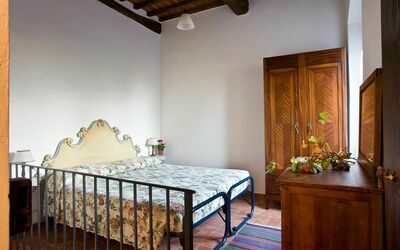 In the unit is available internet connection. 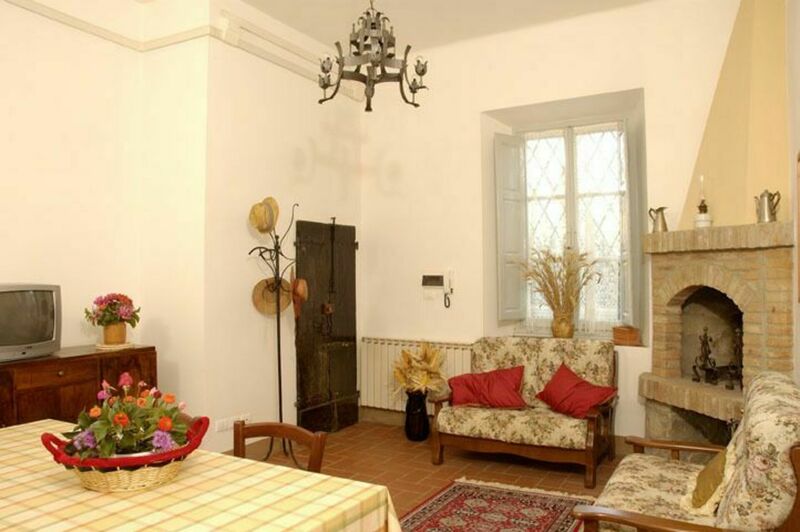 Sharing a meal with friends and family is a big part of the Tuscan culture. 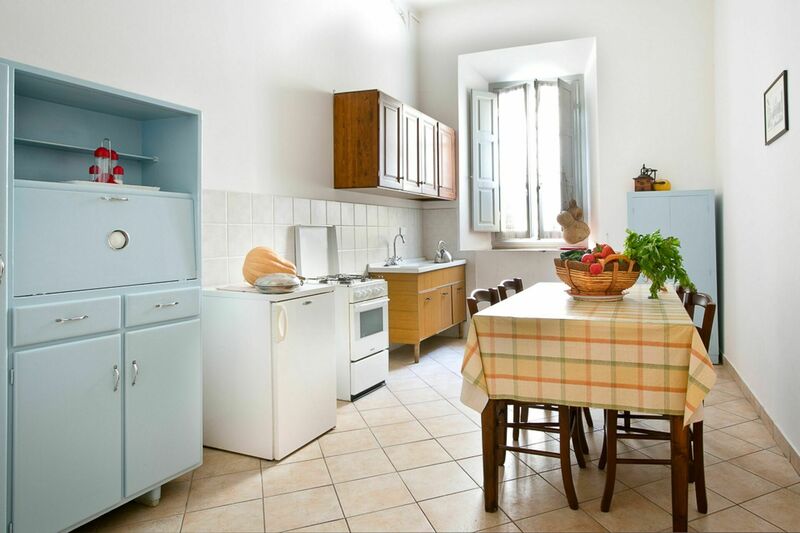 Take advantage of the kitchen to prepare meals using local produce while on your vacation. 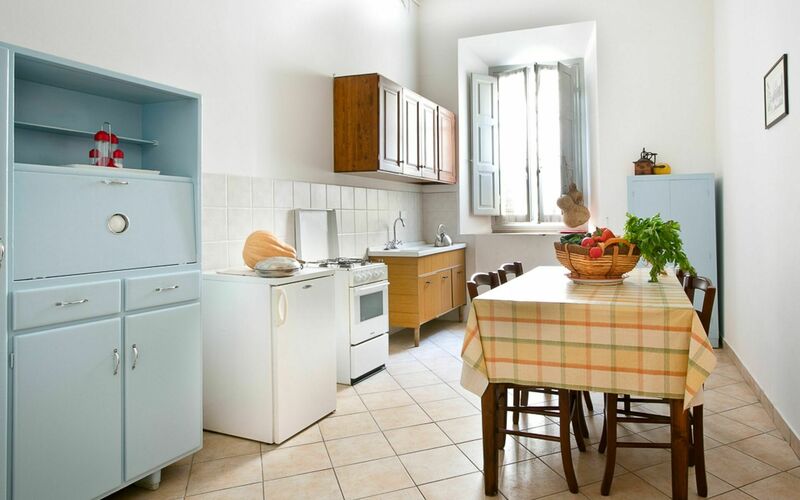 The kitchen includes microwave, stove and refrigerator, as well as, plenty of tableware and cutlery for up to seven guests. 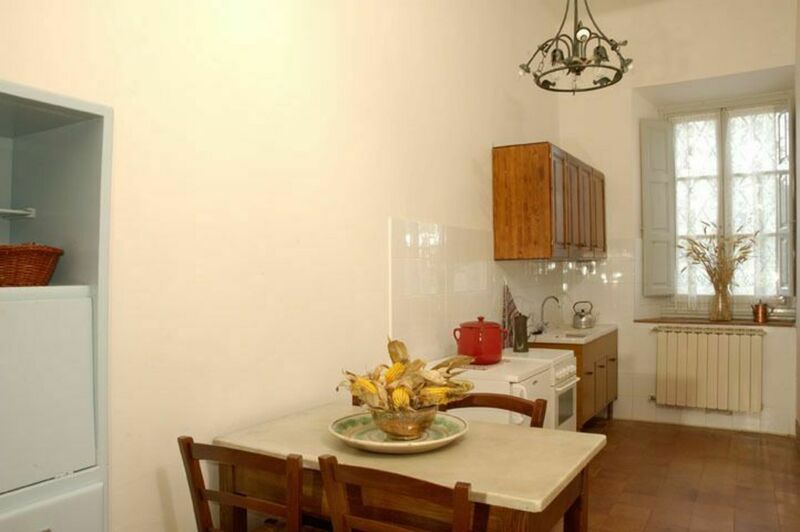 Including: kitchen, living room, 3 bedrooms, 2 bathrooms, toilet. 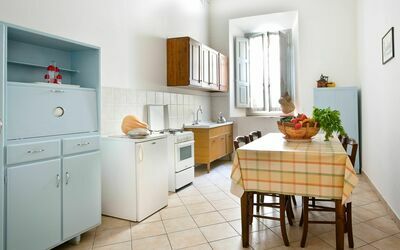 Kitchen: dining table, fridge, freezer, stove top, oven. 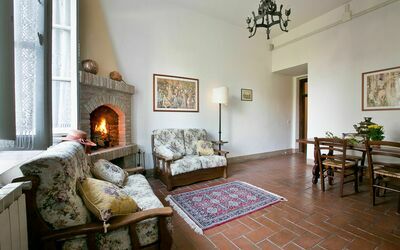 Living room: two sofas, fireplace, satellite tv. Bedroom 3: two single beds, sofa bed.